For homes that are connected to a municipal sewer system, maintaining that system is the city’s responsibility. For homes with a private septic system, however, that responsibility falls to the homeowner. We understand that maintaining your septic tank can be stressful, especially if this is your first time having to worry about it. However, we also believe that information is a great antidote to the stress of uncertainty. To help you get the best results from your septic system, our team at Degler Waste Services has put together this guide to tell you understand what you need to know about septic tank maintenance. • Pumping- The most frequent type of septic tank maintenance is pumping. Unlike a city sewer system that removes all wastes to a treatment facility, in a septic tank, solid waste remains until it is removed via pumping. Obviously, your septic tank has a finite capacity, so you want to make sure to have your tank pumped before it threatens to overflow. Opinions vary on how often you should have your tank pumped, with some experts saying only every three to five years and others recommending once every year. If you’re confused, our team at Degler Waste Services can inspect your tank and give you our expert estimation on how often to pump your tank. • Inspection- The other main part of septic tank maintenance is regular inspection. It’s important to catch problems early before they can become serious (and expensive). Most septic services offer inspections during your regular tank pumping, so you’ll have an empty tank and a report on any issues that might be developing. 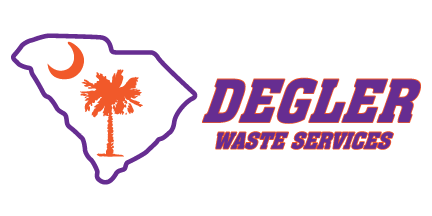 If our inspection reveals any such issues, our team at Degler Waste Services can also provide the necessary repair services.